The other day, I was surprised when the Unsleeping Eye alerted me to the fact that a popular survivalist had filmed not one but two episodes in Romania. 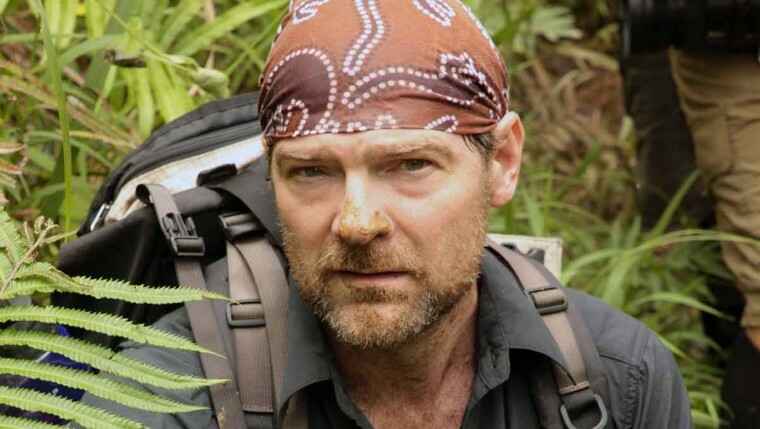 The show is called Survivorman, featuring the legendary Les Stroud, and Season 7 Episodes 2-3 were billed as Les doing some survival in “Transylvania”. I say “Transylvania” because, unfortunately, Les was not in Transylvania. He was in Romania though, in the Făgăraș Mountains in Argeș judet/county, which is, and has always been, in Wallachia. Les was completely unable to pronounce the word “Făgăraș”, which I completely understand as it’s tough to say for English speakers, but he could’ve just said “Carpathian” Mountains and it would’ve been good enough. I certainly admire Les Stroud’s bushcraft and wilderness skills. A billion years ago when I still lived in the United States, my friend was a huge fan of Les’s shows, and watched them religiously. I also admire the guy for doing all of his own filming, meaning he’s actually out there on his own every week. But honestly? Les Stroud is getting old and confused. And you have to wonder just when he’s going to have enough money to just stay home instead of risking his life for a few more bucks. If you don’t watch the episodes in “Transylvania”, you won’t miss much. He completely loses his cool in the first episode and nearly walks off a cliff. He then pulls a weird stunt of sending the Salvamont (Mountain Rescue) team some completely wrong coordinates to see if they’ll find him. Well, they search all freaking day for him and don’t find him, and all we see is about 30 seconds of jump cut footage of an entire team of guys and a dog frantically looking for him, and then berating themselves at the end of the day because they have a perfect track record for finding lost victims. In “part two”, or the second episode in “Transylvania”, Les basically gives up trying to survive, and instead pretends he has a broken leg. There were some useful tips of what to do in case you get lost and become disabled, but the episode ended with the Salvamont team finding him after he sends them the correct coordinates with his fancy GPS machine. Don’t misunderstand me – I have complete respect for the Salvamont team. But one day they’re given wrong coordinates many kilometers away and can’t find him, and the next day they’re given accurate coordinates and he’s sitting there 100 meters away with a bright orange flag tied to a tree next to where he is. No offense, but just about anyone could have found him at that point. So weird. The scenery of the Făgăraș/Carpathian Mountains, shot from a helicopter, was gorgeous. But frankly the rest of the episodes was very boring, and the only survival tips I learned were A) Unsurprisingly, the branded survival kit that Les Stroud sells with his name on it seems to be useful, and B) if you go hiking in a remote area, bring an expensive GPS gizmo that can send texts with your location. Very educational. Come on man! Don’t we all know that none of these “reality” type shows are really truly reality?! Granted, this one is closer to reality than others, but ultimately It’s all just entertainment! That’s it! That’s how ya gotta look at it! When GPS signal was available, the “gizmo” sent automatically the coordinates of the starting point of his journey. from there, Salvamont had to guess and remake his course – until, the next day they have received a message with updated coordinates from the device he left hanging in a tree. From there he could have been anywhere on a few Km range. Salvamont found him based on some “clues” that Les left (bandana, garbage bag, marked trees). In my opinion that’s not an easy thing that can be done by anyone, especially on that terrain.